Figure 3. Illustration of method used to calculate the pressure-time product (PTP) for the esophageal pressure (Pes) and to partition it into its constituent components: efforts required to overcome PEEPi (PTPpeepi), triggering effort (PTPttr), and posttriggering effort (PTPpost). PTPpeepi constitutes a load imposed during the whole inspiration, whereas the triggering effort represents only a short delay before being transformed into volume. CW = chest wall; E = expiration; Pmus = muscular pressure; P = PEEPi; I = onset of inspiratory flow. Reprinted by permission from Reference 93.
assisted ventilation and weaning by counterbalancing PEEPi at least in part (91, 93, 111). Intrinsic positive end-expiratory pressure can be measured in two ways: by the end-expiratory airway occlusion technique and by simultaneous recording of flow and Ppl. End-expiratory airway occlusion technique. End-expiratory airway occlusion (EEO) for measurement of static PEEPi can be performed manually at the expiratory port of the ventilator during the last 0.5 seconds of the expiration (112). Alternatively, a pneumatic valve can be used for rapid occlusion at the airway opening (111, 113, 114). 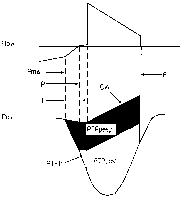 This second technique has the advantage of avoiding problems related to gas compression in the ventilator tubing, although some variability can occur due to timing of the occlusion. However, near the end of expiration, the volume expelled per unit of time is very small because of extreme airway compression, and therefore, small changes in te are not expected to affect substantially the magnitude of PEEPi, at least for a te of around 3 seconds (111). Measurement of PEEPi can be easily performed with ventilators that are already equipped with an end-expiratory occlusion hold option, either a manual operating button (e.g., the Siemens Servo 900C or 300) (115-118) or a hardware/software facility (e.g., the enhanced 7200 series of the Puritan-Bennett ventilator), for rapid occlusion of the expiratory port exactly at the end of a tidal expiration. With ventilators that do not include this option, airway occlusion can be performed using manually operated valves (119, 120). rather than inspiratory muscle contraction (123). This may also occur in ventilator-dependent patients (94, 95). To obtain the correct value of PEEPi, i.e., without positive end-expiratory alveolar pressure due to expiratory muscle activity, a number of approaches have been employed. Appen-dini and coworkers (94) suggested subtracting the corresponding change in Pga from the change in Ppl during the time interval from the onset of the inspiratory effort, as indicated by the swing in Pdi, to the start of inspiratory flow (Figure 4). Lessard and coworkers (95) proposed that the expiratory rise in gastric pressure should be subtracted, assuming a complete transmission of pressures generated by all or most of the expiratory muscle activities to the abdominal cavity. Recently, Yan and coworkers (124) used the Campbell diagram method to measure PEEPi,dyn in spontaneously breathing subjects and to correct for expiratory muscle activity without requiring the insertion of a gastric balloon. In this connection, it has to be mentioned that some nasogastric tubes used for nutrition include a balloon-catheter system for measurement of changes in Ppl, thus limiting the invasiveness of the maneuver (125). Yan and coworkers (124) urged caution when interpreting the measurement of PEEPi,dyn in actively breathing subjects, because of the confounding effects of the viscoelastic properties of the respiratory system, postinspiratory inspiratory muscle activity, and expiratory muscle activity. Moreover, it has to be considered that during the interval that PEEPi is being measured, contraction of the diaphragm can increase Pga while concomitant relaxation of the expiratory muscles can decrease Pga such that the relative magnitude of those two separate activities remains unpredictable. 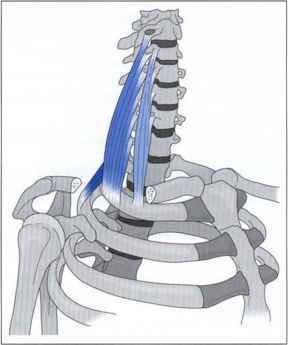 Furthermore, expiratory rib cage muscles can be active and also affect Pes. Therefore, even after using Pga to correct the recorded PEEPi,dyn, the corrected value may not truly quantify the magnitude of dynamic hyperinflation (124). In summary, due to its important clinical implications, PEEPi should be measured in ventilator-dependent patients. The end-expiratory airway occlusion remains the reference maneuver, although interpretation is extremely difficult in the case of expiratory muscle recruitment (95).